Summer camp volunteer, Caroline, brought her favorite cookies to share at the kitchen one day. The original recipe can be found on Key Ingredient, but we made a few yum changes during kitchen hours and our tasters loved them! 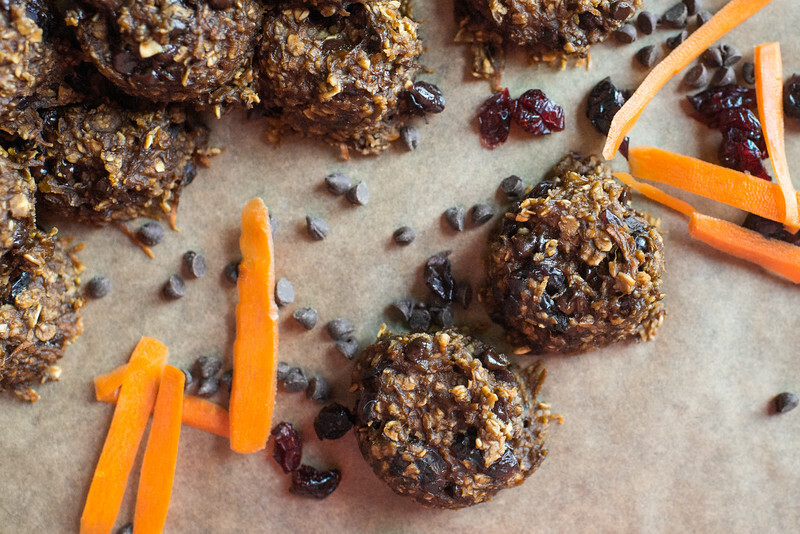 The mix-ins for this cookie can be switched to whatever dried fruit that you have on hand. We tested this recipe using Sunflower Butter to make it allergy friendly, but you could also try different nut butters based on your preference. Preheat oven to 350 degrees. Mash bananas in a mixing bowl, stir in Sunflower Butter, and applesauce. Add remaining ingredients and stir to combine. Drop dough onto cooking sheet sprayed with non-stick spray. Use a small scoop and slightly flatten. Bake 15 minutes, until firm. Remove from tray and cool completely on cooling rack.